The backbone of integrated healthcare communications is the MOTOTRBO digital platform. This flexible and adaptable solution includes digital two-way radios, accessories, applications, systems and support services. 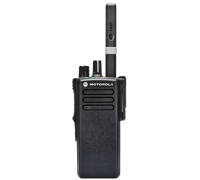 MOTOTRBO connects staff and equipment together to provide clear, secure and discreet communications. And it is HIPAA-compliant to protect the confidentiality of patient data. 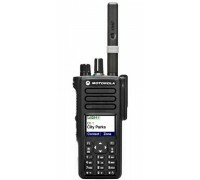 MOTOTRBO seamlessly integrates voice, data, text messaging, GPS, work order ticketing and more to help your staff communicate and collaborate most effectively. 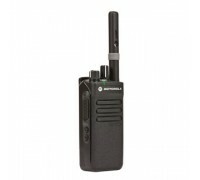 Wireless Bluetooth accessories and covert earpieces enable security personnel to operate discreetly. For emergency situations and everyday operations, MOTOTRBO strengthens workplace safety and improves overall efficiency. WHEN HEALTHCARE PROVIDERS TRUST MOTOROLA, THEY TRANSFORM THEIR ORGANIZATIONS From reception to maintenance, in the emergency room or at an off-site location, Motorola is helping healthcare providers work more safely and efficiently in the most demanding environments and challenging situations. Healthcare providers around the world are transforming their workplace with the renowned MOTOTRBO digital platform and expertly-integrated systems, applications, accessories and services. 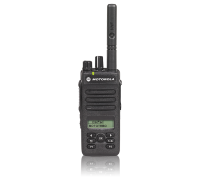 MOTOTRBO connects different people, departments and equipment to keep operations running smoothly, prevent crises from happening, and manage them swiftly and effectively when they do.